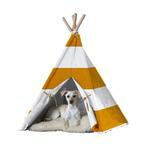 Dogs will love to snuggle up in their own space in this fun Merry Pet Teepee in Orange Stripes! Posted On 08/14/17 by Jennifer L from Senoia, GA Yes, Jennifer L recommends this product! Perfect space that my dog loves to nap and fits into your decor. Posted On 08/01/17 by Jennifer L from Senoia, GA Yes, Jennifer L recommends this product! 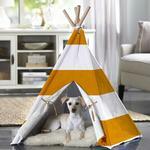 super cute place for the pups to store their toys and take a nap. looks great. Posted On 03/13/17 by Elizabeth L from North Port, FL Yes, Elizabeth L recommends this product! 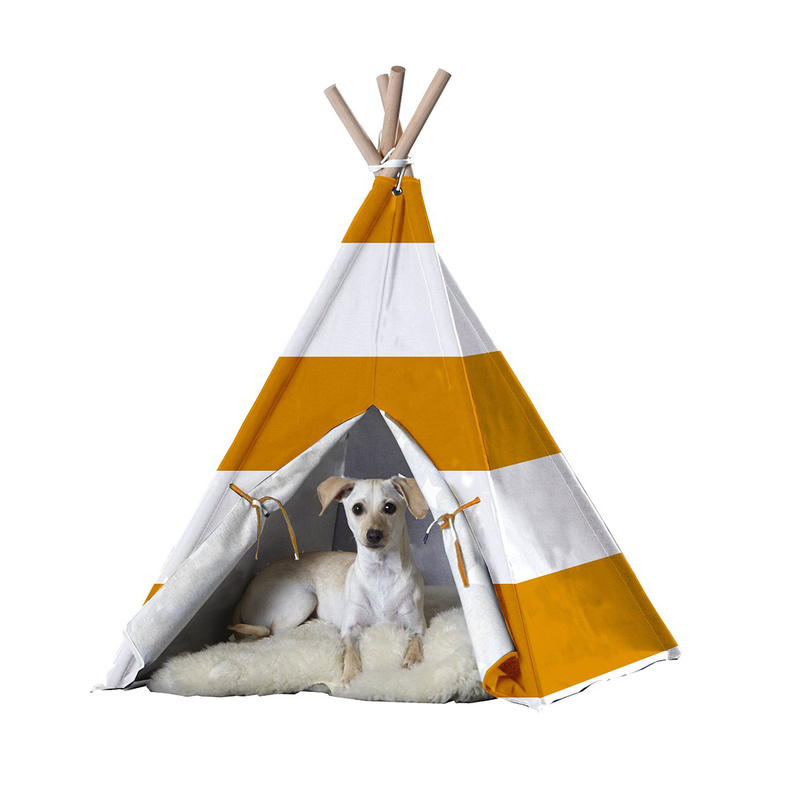 The tent is not only a perfect space for Buster to keep his toys and to take a nap, but goes so well with my livingroom decor. Easily transported to our summer home too. I was extremely pleased with the order and so was my grandpup !! She looked so pretty in both of her harnesses. I do wish you had more leash harness sets. My mom's dog looked great in his harness and leash.